We have just come through the annual World Missions Conference at our home church, Mission Point, in Saint John, NB (Canada). From the time I was a young person growing up in the Baptist church, missions conferences have had a special place in my heart and this year was no different. Being involved in the planning, in my role as full-time Assistant to the Pastor, is a real treat for me, as it gives the opportunity to get “up close & personal” with some incredible people!! Sis. Else Lund was appointed as a missionary to Liberia, Africa in 1962 and spent three weeks sailing to the land of her calling on a ship named the African Glen. She fulfilled a number of roles in multiple west-African nations until retiring from Global Missions in 2004… some 42 years after her initial appointment. A great deal of those 42 years was spent in Ghana and at one point, every ordained minister in the UPC of Ghana, had been taught by Sis. Lund… hence the nickname “Mother Ghana.” What a heritage. Saturday morning, as we did during last year’s conference, we organized a brunch for anyone who either (a) felt a call towards or (b) was curious about, short term missions. 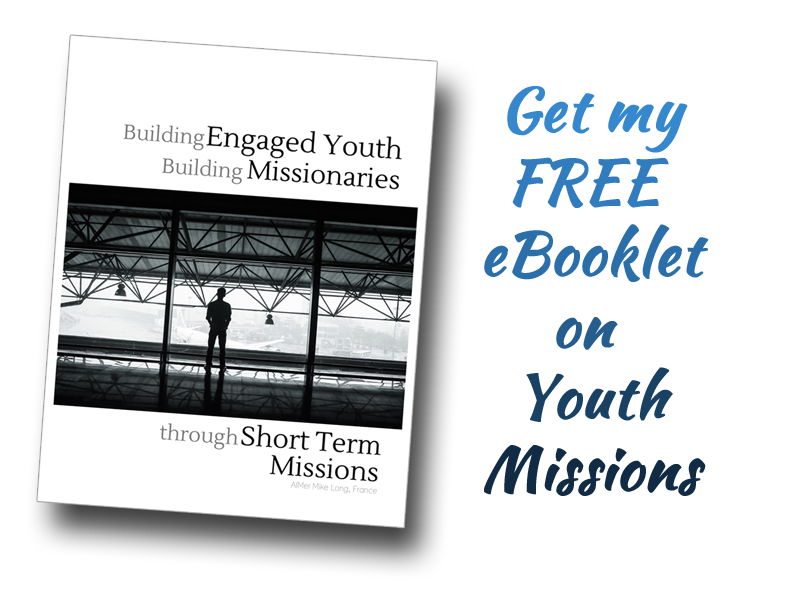 It was a chance to glean from the experience of our guest missionaries who discussed a particular part of their journey toward missions followed by discussion afterwards. Lauren Summers: Lauren was the youngest voice on the panel but a valuable one. As an MK (missionary kid) she was in Cyprus because of her parents’ call, not her own. Quiet by nature, Lauren said a LOT in a few short words: She reminded us of the need to uphold missionary kids in prayer and to encourage them whenever possible. Else Lund: Sis. Lund spoke longer than the first two ladies, but her tale was riveting! Just two short quotes from her… one, a testimony from her past, the second… a call to those present. It involves partnering with, or at the very least paying heed to, the apostles, prophets, pastors, evangelists & teachers that God has placed in your life. He put them there for the purpose of equipping you. It (the equipping & preparing process) never stops! It involves academic preparation, spiritual preparation and ministerial preparation* (meaning: the basic needs of humanity are the same everywhere. If you learn how to minister right where you are, you’ll learn how to do it in the land of your calling). It is like finding the will of God for your life: …you must find the next right step and just do it. All those steps together, lead you into the will of God or, in this case, into that state of prepared-ness. What a great time of inspiration and formation all rolled up into one! If you’ve got a call… Feed it! That’s what we’ve been doing and what we continue to do as we prepare ourselves for our departure in January. Come back Saturday morning when I’ll have an update on our financial preparations… Exciting news that you won’t want to miss. We’re praising God for great things! We capped off the weekend by having the Poitras’ in our home for supper the night before their departure back to St. Louis. We’re thankful for their enthusiastic encouragement and their friendship and for believing in us! Supper & visit with the Poitrases in our home. What a treat! Treasured moments.